Do you want to get involved in cutting edge science? 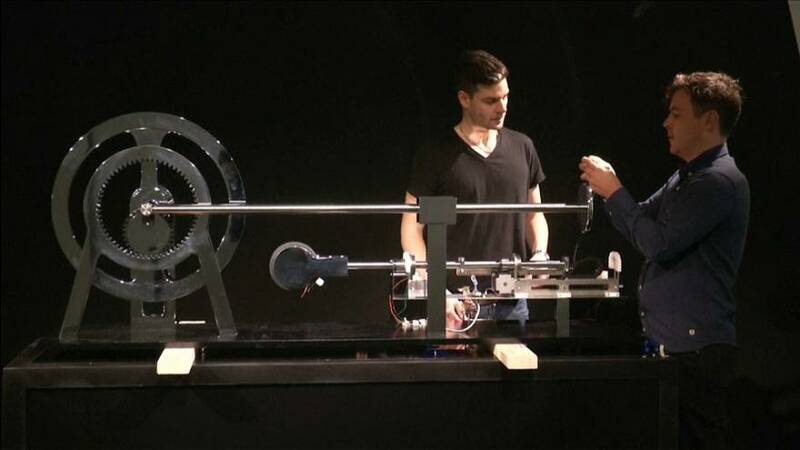 The Mental Work project in Lausanne, Switzerland, starting on October 26th, invites the public to the EPFL Artlab to attempt to move some rather beautiful machines evocative of the industrial revolution using only brainpower. Telekinesis is a favourite theme of science-fiction, but scientists here say it is on the threshold of becoming reality. The Mental Work project uses Brain-Machine Interfaces (BMI), developed at an EPFL, (Ecole Polytechnique Fédérale de Lausanne), lab. “At the Mental Work factory the public can come and we equip them with an EEG helmet which will read the mental activity, the electrical activity, that’s in their brain. These helmets are dry, so we don’t need gel for conductivity and they’re also wireless so they can walk through the mental factory and engage with four of our machines, activating them with only their mental activity. We think that we are really at the beginning of a moment in time where man is going to become the centre of all this technology. His brain activity is going to interact with the physical world around him in ways that we can hardly imagine today,” says Mental Works co-founder Michael Mitchell. The experiment runs for three months from next Thursday, before going to to the U.S. next year, first to the Swissnex global innovative community hub in San Francisco, and then moving to Boston. All data from the seven month experiment, collected anonymously, will be given to the brain machine interface community to improve future BMIs. Explained: Why is blockchain regarded as revolutionary?